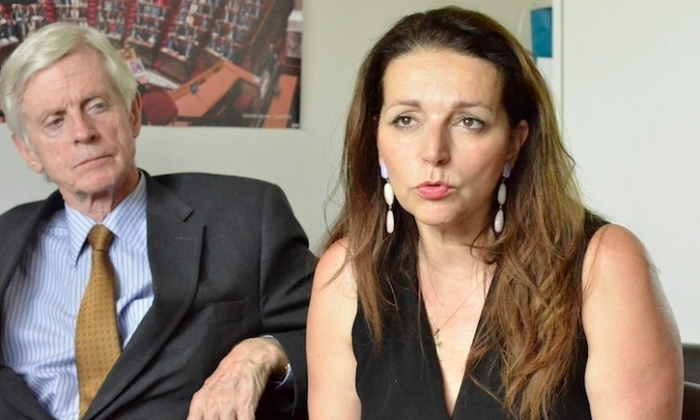 PARIS—On July 1, during an interview with Epoch Times at the French National Assembly, Valérie Boyer, a French Parliament representative of the UMP party (Union of the Popular Movement) for the Bouches-du-Rhône county in southern France, announced her wish to create a study group on forced organ harvesting. She also reaffirmed her commitment against the merchandising of human bodies, in any way possible. In France, the issues linked to medical ethics receive special attention. The ethical principle of not selling human body parts was enacted by the National Advisory Committee of Ethics (CCNE). This principle forbids, for instance, the sale of blood, and states that organ donation must stay anonymous and free. These rules which enclose the principle of not selling body parts still depend on the legislator. At the Assembly there has been an animated political debate about voting on family law. The issue of medically assisted conception and surrogate motherhood is an especially difficult one. It seems that the French government refuses to pass certain boundaries. Recently the European Court on Human Rights condemned France because the country refused to give French nationality to children who were born outside France through surrogate motherhood. The French Minister of Justice, Christiane Taubira, has expressed a few times her refusal to “change that principle of public order” while staying attentive to the “situation of the children”. Our modern society has come to the point that making money can be done through anything. In the United States for instance, one can, with specific companies, sign “contracts in human assets”: a large amount of money is given to a young graduate who will in exchange be obliged to pay back 7 to 10% of his future income during a given period of time. Of course, the idea of commercializing the human body comes from another level than the one of production and assets. Still, it shows that what represents a value to human beings can become financial material that could create a market. Yet, the article 1128 of the French Civil Code states, “only the things that are on the market can become the object of agreements”. The debate could be reanimated with the coming French reforms on health. To allow the merchandising of the human body in France would be the same as allowing an environment where the human body would be monetized and reduced to the price of its organs. The most developed case of such a model is the forced harvesting of organs that violates all international rules. This organ harvesting is practiced in countries that still cooperate with France on a medical level. Read original French article here.